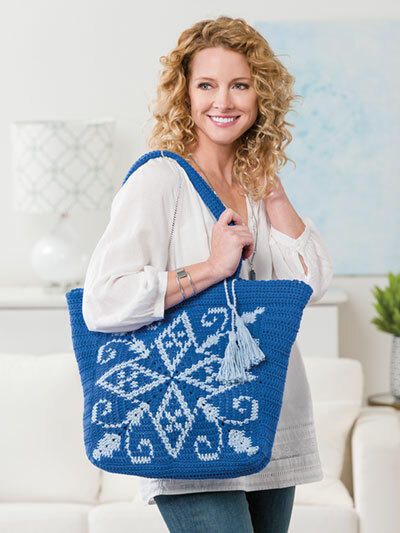 This practical tote packs a lot of "wow" factor into one project! Choose your favorite color combination, crochet 2 motifs and create a stylish fashion accessory that's sure to bring compliments. 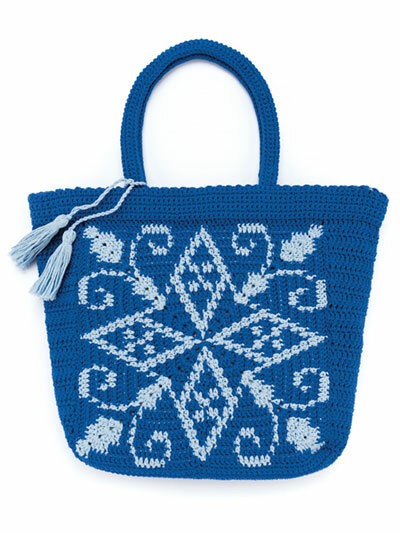 This design is made using 2 colors of worsted-weight cotton yarn and a size 7/4.5mm crochet hook. Pattern includes written instructions and charts.